To be honest, for me it's very much the whole idea of gift giving at Christmas that actually fills me with a lot of stress. It's hard not to judge myself by thinking "you shouldn't feel that way Mish, it's Christmas. What about generosity, love and joy?" I do love giving gifts at other times of the year, but at Christmas time, I often don't feel the same heartfelt generosity pouring out from me. Why I often feel stressed around this at Christmas time is I don't like going into big department stores or shopping centres. I often leave feeling like I don't have enough of this or that in my own life. I also find it intense being among large crowds in the holiday season. And actually deep in my heart, I really don't want to contribute to forced consumerism. Buying "stuff" just for the sake of giving something. I don't want to perpetuate the story that "things buy us happiness". What I actually prefer to purchase my friends and family are experiences that create memories or meaningful transformation, rather than just gifting them more "things" to add to their already "big piles of things". It's because personally, I also prefer to receive experiential, memory creating presents. I already have enough "stuff". If you feel the same as me, I thought I'd make some of the "shopping" easier for you, (or perhaps you'd like to suggest your love ones purchase you experiential gifts), and so I've listed down all of my offerings in a one-stop-website-page-shop. No crowds, no shopping malls or department stores, no purchasing or receiving more "stuff", less stress! My offerings are all experiences. Meaningful experiences that keep giving back to your loved ones (or to you) throughout their lives. Here is a list of present options you can purchase through me. I've listed them from the cheapest to the most expensive to suit any budget. If you decide to purchase one or more for your family members, just do so with the Paypal Link and then send me an email at mish@meditationwithmish.com to let me know who you've purchased your present(s) for. I'll then send you a voucher that you can print for your loved one which will be valid for one year from the purchase date. And voila! Your Chrissy Shopping is done! This is an in-person group Gong Healing experience so your loved one will need to live in the Illawarra area of NSW or travel down from Sydney (1 hour drive by car). Gong Healings are held each month around the Full Moon, usually on a Friday evening, so your loved one can choose the month that best suits them. To access this experience, your loved one can be anywhere in the world. Your loved one sends me, via email, a question or challenge they're experiencing. I answer their question by recording a half hour reading for them which they can listen to at anytime and keep for future reference. To access this experience, your loved one can be anywhere in the world or meet with me in person. Your loved one sends me, via email, a question or challenge they're experiencing or we discuss it in person. I answer their question by recording an hour reading for them which they can listen to at anytime and keep for future reference. You loved one will get 6 month's of access from January 2018 to my Online Meditation Group where they can meditate with me on Facebook Live three times a week at a time and in a place that suits them. All they need is a Facebook account and I'll help them with the rest. You loved one will get a whole year of access from January 2018 to my Online Meditation Group where they can meditate with me on Facebook Live three times a week at a time and in a place that suits them. All they need is a Facebook account and I'll help them with the rest. This is an in-person group Meditation Course experience so your loved one will need to live in the Illawarra area of NSW. You loved one will experience six weekly classes on a Monday evening from 5th February 2018 learning how to meditate as well as how to apply this to their lives. Feel free to contact me if you'd prefer to purchase your loved one an open voucher for a particular amount so that they can choose their own adventure. I can then send you a Paypal Invoice for the amount you choose so you can pay via credit card. I will have new courses, classes and retreats that I launch throughout the year and they're welcome to use their voucher towards any of my offerings. All vouchers will be valid for one year from the purchase date. 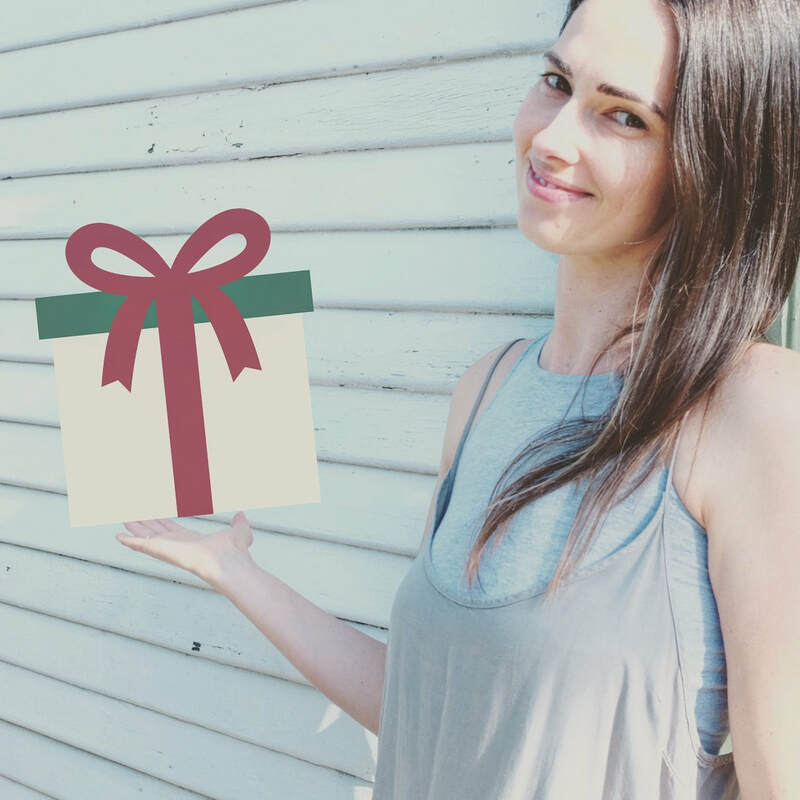 ﻿don't forget after purchasing your present to email me at mish@meditationwithmish.com with the name of your loved one so I can forward you a voucher. and if you have any other questions about any of my courses or classes please don't hesitate to contact me before making your decision.